They don't sit any cozier if I reverse which ski "mounts" the other. Also, I can slightly force one of the skis further, but there is no "click" that would indicate the black levers are secured to one another (as I expected). I've never had this problem with rented skis before. The way they fit into each other now, it just means they often break loose during transport. 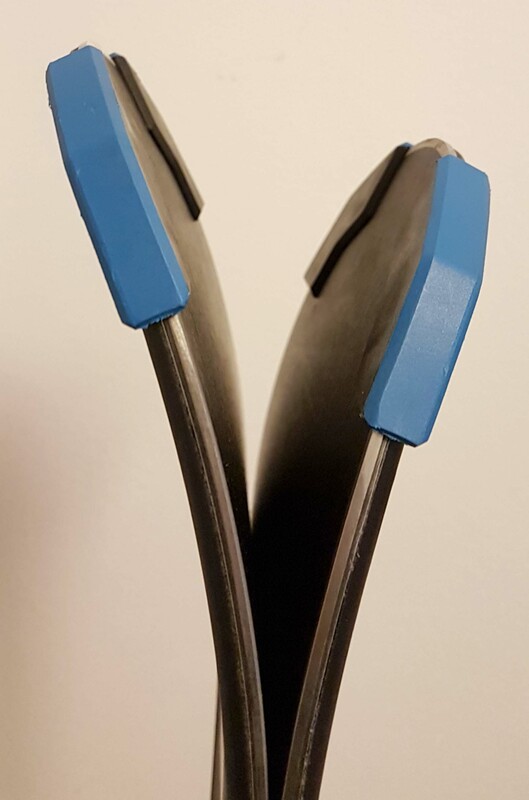 Might the ski shop have misaligned/badly fitted the bindings, or am I just too inexperienced with equipment to know how to properly align my skis? Any suggestions would be appreciated. No, they didn't do anything wrong (they probably didn't do anything at all). The stoppers purpose is not to stack the skis, it's to stop the skis if they become undone from your boots and slide down the slope. That they help with attaching the two skis together is certainly a nice (and expected) feature, but it's not their main purpose. I had skis which couldn't be "stacked and attached" by the stoppers at all (too short, too much camber). And from memory all skis I've had weren't aligned perfectly when "stacked by stoppers". There's no such thing as aligning/fitting bindings for stacking, you fit their length and release settings to your boots and person (size, weight, ability, ...). 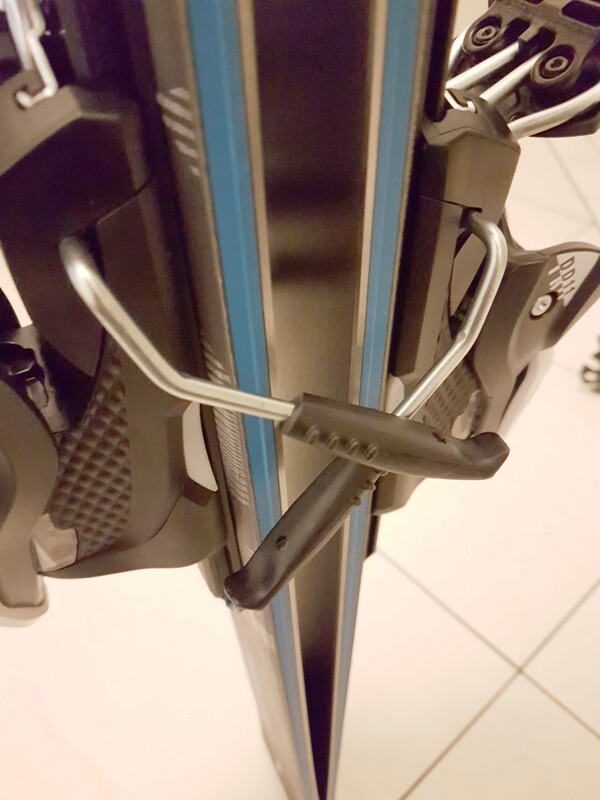 If you have very wide skis, they might actually have to "fit your stoppers", such that they are wide enough - however that's still not about stacking. So no need to worry, if you can stack them at all, that's nice.